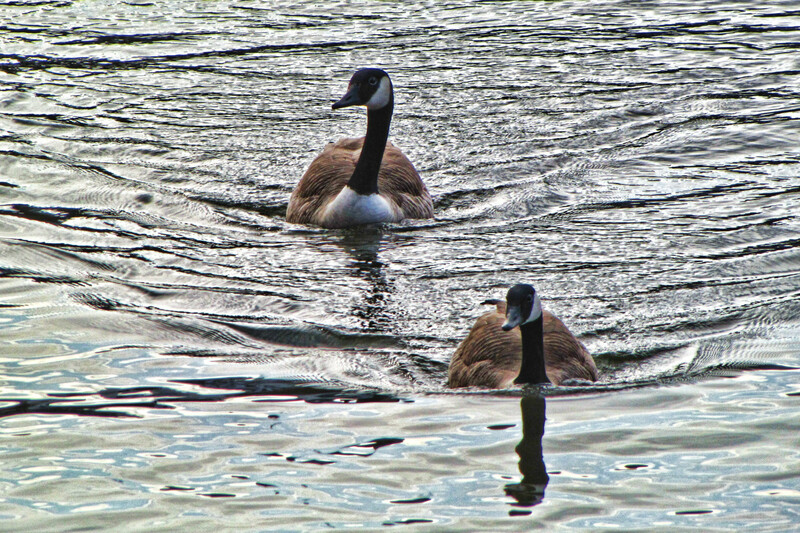 Now we come to the waterbird part of this round of photos – those two Canada Geese came swimming towards me, perhaps expecting food! The current was really strong so they had to paddle a lot, but they managed to stay a while. It was surprising to see them at the end of February, though – usually they migrate South for the Winter but since it was really warm this year some seemed to have stayed.